The Worker Well-Being differs from other approaches because it’s based on the workers’ specific, self-identified needs, Levi’s said. Through a dashboard tool, suppliers will be able to better capture, in real time, the impact of well-being on their workers and their business. This tool will also be shared publicly, Levi’s said. Things are set in motion by Levi’s, its vendors, and any nonprofit partners only after the workers have been surveyed, it said. Beyond sharing its Worker Well-Being Guidebook, which contains everything companies need to implement similar programs in their supply chains, Levi’s has also committed itself to producing more than 80 percent of its product volume in Worker Well-Being factories by 2025. Levi Strauss & Co. is marking the 25th anniversary of the publication of "Terms of Engagement," its industry-defining supplier code of conduct, by pledging to expand its Worker Well-Being initiative to reach more than 300,000 workers in its vendor factories by 2025. Launched in 2011, the initiative helps suppliers roll out programs that address the most vital needs of their workers, including health, sanitation, equality, and financial literacy. 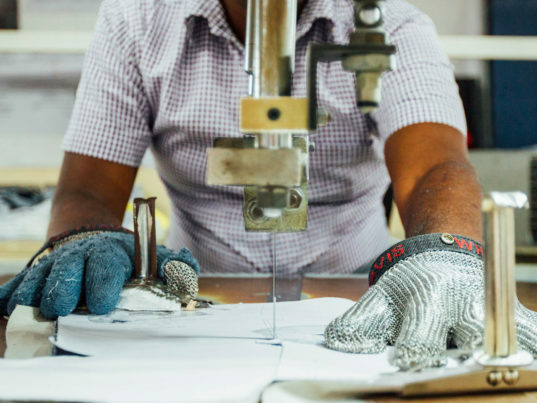 By measuring the business and social impacts of this work, Levi's says it has been able to show its vendors that healthy, financially literate workers are more productive, have lower rates of absenteeism, and are more likely to stay on the job. The palpable results�as much as a 4-to-1 return on investment in some cases�have led suppliers to invest even more money in the programs, according to the denim giant, taking Worker Well-Being "beyond [the brand's] initial targets."